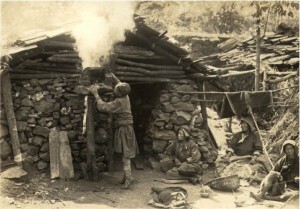 Description: Tibet – Offering of Smoke to Patron Saint. The women are engaged in spinning wool yarn. Produced during the Japanese occupation of China.